The European Seaports Organisation (ESPO) welcomes the Common Understanding between the European Parliament and the Council on the future Connecting Europe Facility (CEF II). With its vote on 25 March, the European Parliament’s Transport and Industry Committees confirmed the partial agreement, which sets out the EU’s funding priorities and modalities in the transport sector for the period 2021-2027. The precise budget, as well as horizontal provisions such as Cohesion funding and the way third countries can participate in the programme will be negotiated under the new Parliament. ESPO strongly supports the European Parliament’s call for an increased transport budget of €33.5 bn. The budget proposed by the European Commission is insufficient to complete the TEN-T network and to invest in a safe, modern and sustainable transport network. Moreover, ESPO believes the proposed €10 bn transfer from the Cohesion Fund to CEF II should be safeguarded. 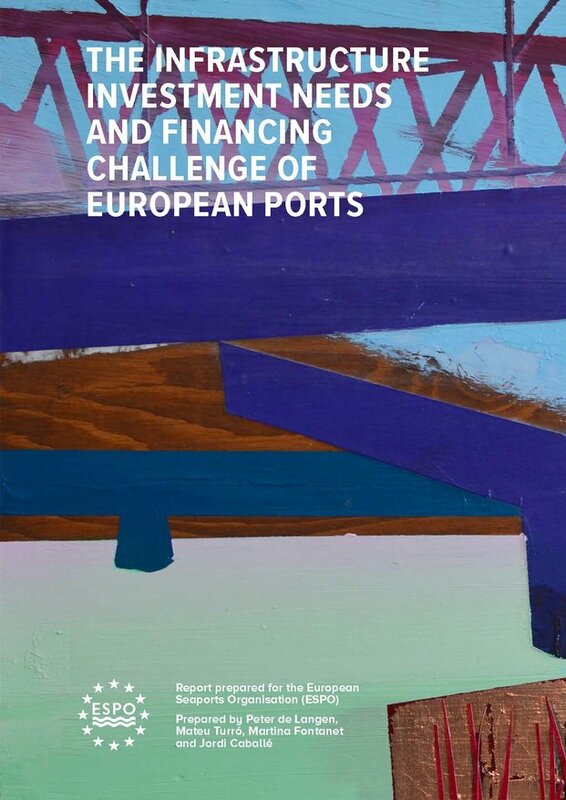 Cover: ESPO’s The infrastructure investment needs and financing challenge of European Ports. Click image to download PDF. “The Parliament has given a strong signal in favour of an increased transport budget for the coming years. We embrace this decision and hope it will be confirmed in the further negotiations. Completing the TEN-T network as foreseen is crucial for the future of Europe. But on top of that, enormous efforts are to be made in the field of decarbonisation and digitalization. We also hope that the proposed transfer from the Cohesion Fund to CEF II will be safeguarded. Cohesion policy aims at reducing the economic, social and territorial disparities that still exist in the Union. It is in that respect fundamental that the Cohesion countries can step up their transport infrastructure in line with the TEN-T priorities that apply to the entire Union.” says Isabelle Ryckbost, ESPO’s secretary general. ESPO regrets that the definition of cross-border links has been weakened by the Council. For European ports, it is important to recognise the cross-border nature of projects, which are carried out in one Member State, but which have a substantial cross-border impact. Given their role as gateways to cross-border trade and the cross-border impact of port projects, ports should be considered as international in nature and thus be placed on an equal priority with cross-border projects. In this regard, ESPO welcomes that any type of cross-border cooperation is recognised rather than the mandatory set-up of a single project company. ESPO believes that in order to achieve a fully integrated and operational TEN-T network, more attention needs to be given to the maritime pillar and to ports within the TEN-T network. European ports are not only essential nodes of transport and logistics, linking maritime with all others modes of transport, they have also developed into important nodes of energy, industry and blue economy. In order to fulfil their role as sustainable, efficient and state-of-the-art ports, continuous investments are needed. “Even if they are situated on the territory of one country, ports have a fundamental role to play in enhancing the cross-border connectivity within Europe and between Europe and the world. This cross-border impact should be better recognised in the future. Next to their role as transport nodes, Europe’s seaports are nodes of energy, industry and blue economy. They are strategic areas for Europe’s growth. Port authorities are managing these complex port ecosystems and can be drivers of change well beyond the port area.” adds Isabelle Ryckbost. European Ports call on the policy makers to continue the negotiations on the basis of the Common Understanding and call for a swift adoption of CEF II to ensure a timely preparation of the Work Programmes. The EP plenary vote of this agreement is scheduled for the 15-18 April Strasbourg session.